Lulacruza is an electronic folk duo operating at the junction of the hypermodern and the ancient. Their music weaves together hypnotic female singing, South American folk instruments and electronic processing, while channeling pulsating waves from the source of creation. 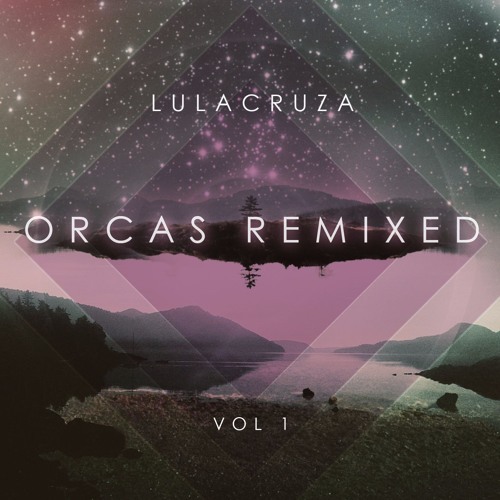 Lulacruza combines songs, soundscapes and dance music with astonishing ease. In their live sets, they process and sample acoustic instruments, moving from tribal beats and songs amidst electronic textures, to beautiful drones and chants. Treating sound almost like a malleable plastic material, Lulacruza creates live and organic sonic spaces. Their music has the power to induce intense trance-like states, invoking otherworldly nature spirits and activating the resonant frequencies of the human body. Lulacruza is made up of Alejandra Ortiz (Colombia) and Luis Maurette (Argentina). Alejandra is an extraordinary songbird and plays the Colombian cuatro and percussion. Luis Maurette complements with electronic processing and sequencing, as well as percussion and charango. Live, they recently incorporated Pablo Paz (Argentina) on bass, electronics, and percussion. Since meeting at Berklee College of Music in Boston, MA, USA, in 2005, Lulacruza has performed in over 50 cities in 5 countries and released 6 albums: Do Pretty! (2006), Soloina (2008), an EP of remixes called Canta (2009), Circular Tejido (2011, Esperando el Tsunami - Visual Album (2015) and Orcas (2015). As well as the film Esperando el Tsunami with French videographer Vincent Moon. Their music has been included in documentaries in Colombia, Argentina and Mexico, as well as compilations in Japan, Argentina, Italy, the USA and Venezuela. In 2007, they were chosen as Today’s Top Tune on Morning Becomes Eclectic KCRW 89.9. In 2008, they were Artists in Residency at the Red Poppy Art House in San Francisco, CA and were recipients of both the Zellerbach Family Foundation grant and the William & Flora Hewlett Foundation grant for their multidisciplinary performances and social reach. In 2009 and 2011, their second, fourth and sixth albums were included in the prestigious Club del Disco catalogue in Argentina. They are based in Buenos Aires (Argentina).